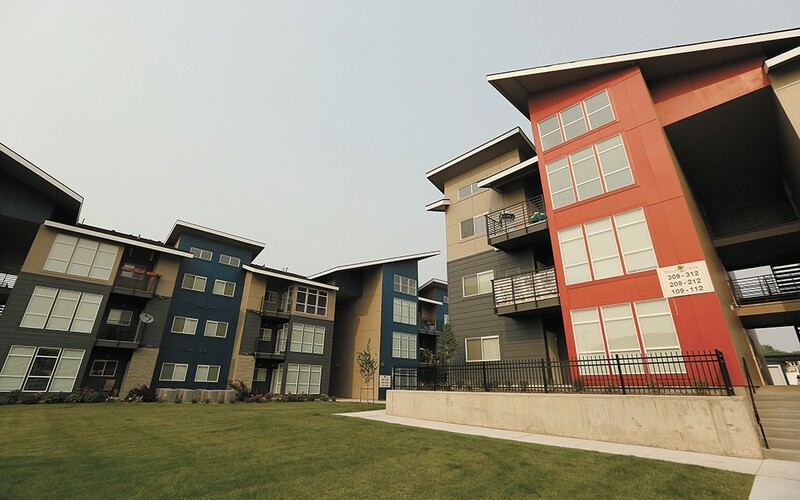 A large, new apartment development in Spokane Valley. Susan McCoy: It has everything to do with the economy and people losing their homes so local builders saw a their opportunity (to make money of course) and started throwing apartments up all over the place. I'm not saying it's right as I am stuck in an apartment I detest but I can't go anywhere cheaper either. It's sad and wrong! Ann Mitchell: Dave Black's statement about the millennials, "They don't want to fix the roof and mow the lawn and spend their money on some furnace that goes bad," Black says. "They want to go out and live their life." Newsflash: They can't afford it! Especially in the Minimum Wage Capital of the Northwest, and they don't care because they don't know. Becoming an adult in the last 10 years is a lesson in non-prosperity. ... The "millennials" have never known a good economy in their adult lives, especially in the unfriendly business climate of Spokane. Amanda Jacobsen: The new rental prices would be easier to work with if the job markets would increase hourly wages to accommodate for the increase in cost of living. I have a good, well paying job but at the end of the day $950/month on rent still leaves me shorter than I desire. Money is manageable but some people aren't working 40+ hours a week just to maintain a decent living space. The "affordable" housing that's available is usually not well kept, or in a less desirable part of town. Kevin Farrage: They are slapping up apartments all over the place, but you don't hear about a bunch of new jobs coming to Spokane. I hope these aren't all freeloader apartments.